Here a very quick PowerShell command to list all the Virtual Network Adapters, including IP Addresses of Virtual Machines running on a Hyper-V Host. 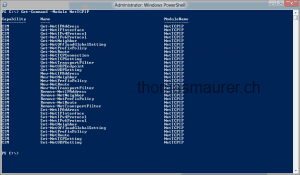 Around 4 years ago I wrote a blog post about how to Replace netsh with Windows PowerShell which includes basic powershell networking cmdlets. 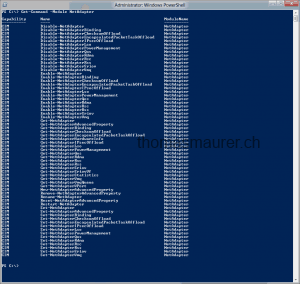 After working with Microsoft Azure, Nano Server and Containers, PowerShell together with networking becomes more and more important. 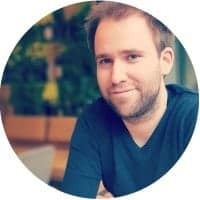 I created this little cheat sheet so it becomes easy for people to get started. 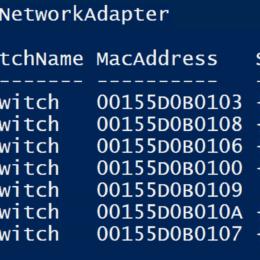 Get adapter hardware information. 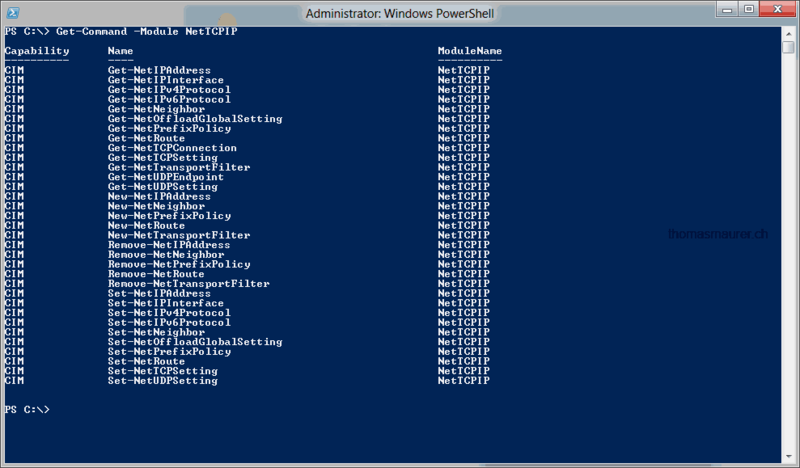 This can be really usefull when you need to know the PCI slot of the NIC. 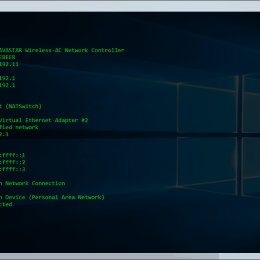 Disable-NetAdapter -Name "Wireless Network Connection" Enable-NetAdapter -Name "Wireless Network Connection"
Disable-NetAdapter -Name "Wireless Network Connection"
Enable-NetAdapter -Name "Wireless Network Connection"
Rename-NetAdapter -Name "Wireless Network Connection" -NewName "Wireless"
Set-NetIPAddress -InterfaceAlias "Wireless" -IPv4Address 192.168.12.25 -PrefixLength "24"
Set-DnsClientServerAddress -InterfaceAlias "Wireless" -ServerAddresses "10.10.20.1","10.10.20.2"
You can also manage your DNS cache with PowerShell. I hope you enjoyed it and the post was helpful, if you think something important is missing, please add it in the comments. 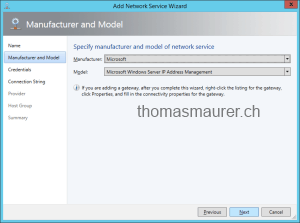 In System Center 2012 SP1 Virtual Machine Manager you already had an option to feed information into your IPAM (IP Address Management which was introduced with Windows Server 2012). 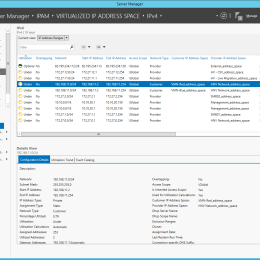 In the R2 release of Windows Server 2012 R2 and System Center 2012 R2, Microsoft did enhance the connection between IPAM and Virtual Machine Manager (SCVMM). 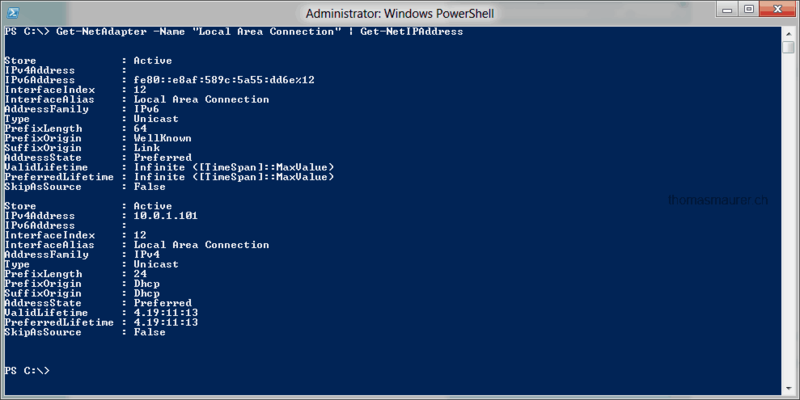 This was a really important step, because first of all not a lot of people have a real IP Address Management solution like IPAM, most of them are still using some crazy Excelsheets to mange IP Addresses. 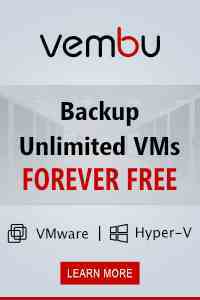 But if you are thinking about your Private Cloud or you are a Cloud Service Provider this just doesn’t work. 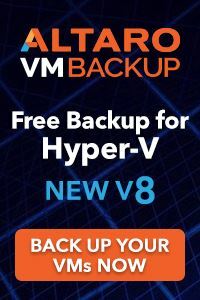 IP Addresses these days change rapidly and especially when you do IaaS (Infrastructure as a Service) and you don’t have access inside the VM, because you don’t control it, you need some automated system. 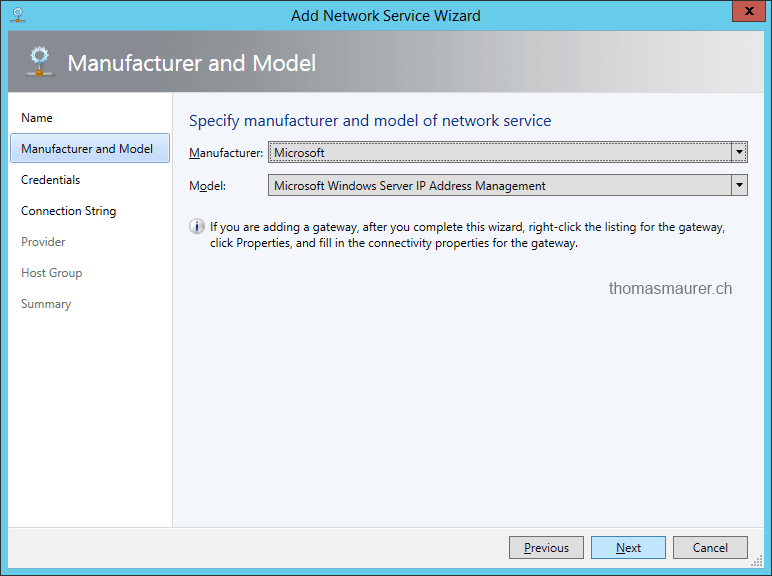 IPAM in Windows Server 2012 and Windows Server 2012 R2 is just perfect for that. 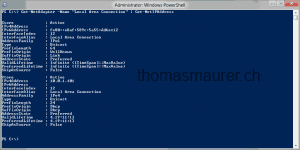 It integrates in Active Directory, DNS, DHCP and more. 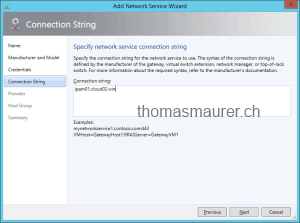 With System Center 2012 R2, Virtual Machine Manager gets a perfect connection to IPAM. 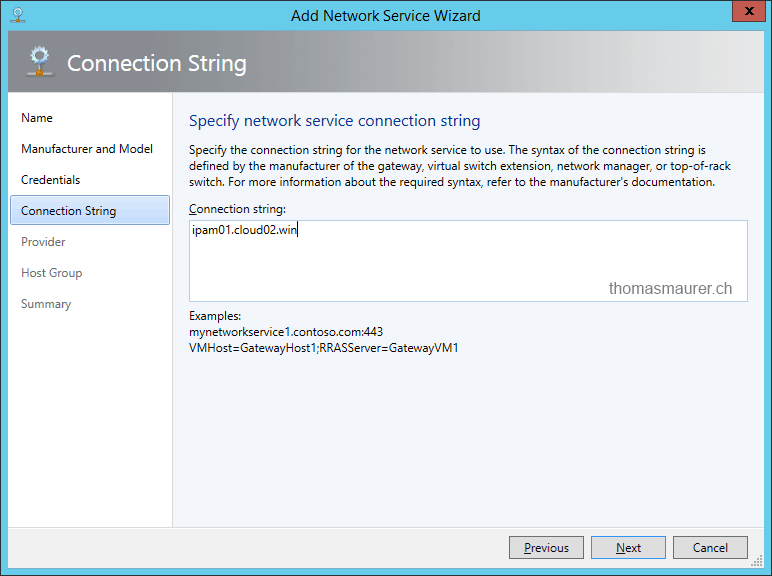 And if you have worked with Virtual Machine Manager 2012, 2012 SP1 you know that SCVMM knows about all your networks and even your customer networks. 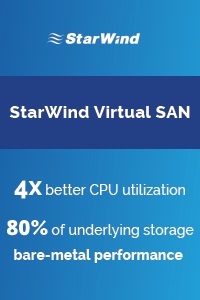 VMM is definitely the central management for your cloud environment which offers an end-to-end solution. To connect and integrate IPAM into SCVMM 2012 R2, open the Virtual Machine Manager console and navigate Fabric and add a new Network Service. 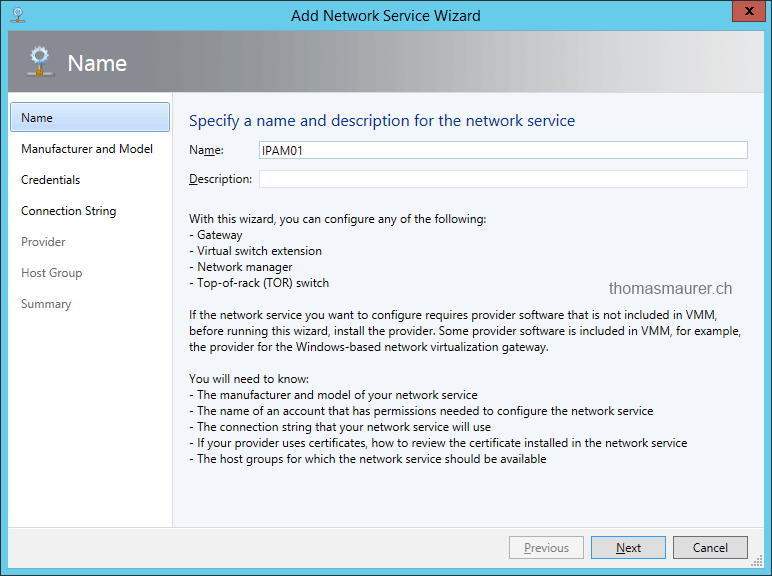 Assign a name to the network service. 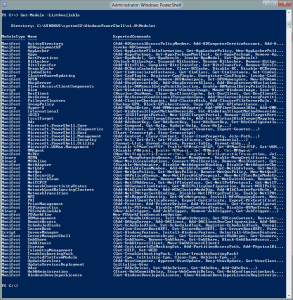 Enter credentials for the connection between Virtual Machine Manager and IPAM and enter the connection string which is basically the FQDN of the IPAM infrastructure. 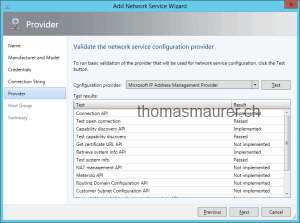 You can also validate the network service configuration provider, which will test the connection to the IPAM server. 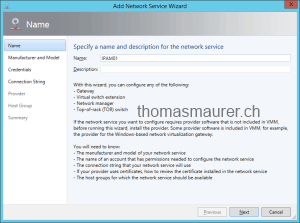 After you have connected IPAM, the network definitions, VM Networks, Logical Networks, IP Pools and so on will show up in IPAM. 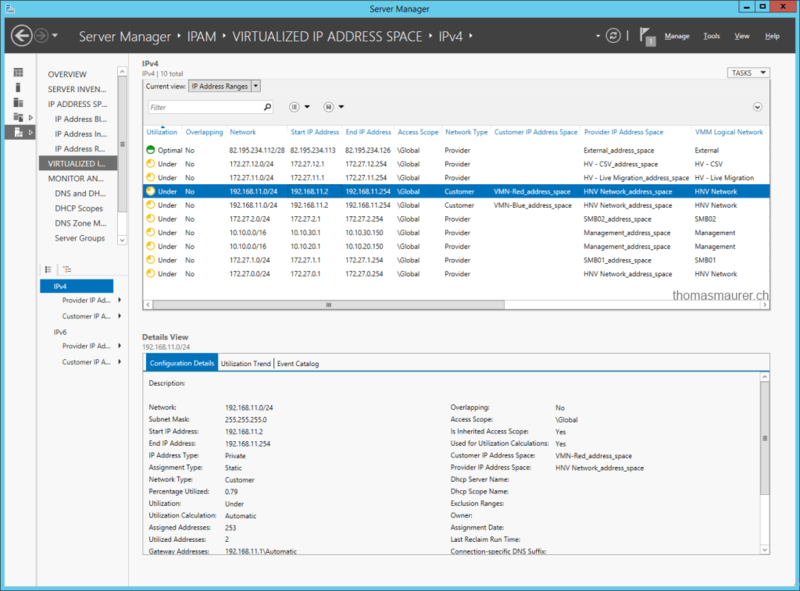 I hope more people will see the value of IPAM and the integration in System Center 2012 R2 Virtual Machine Manager. 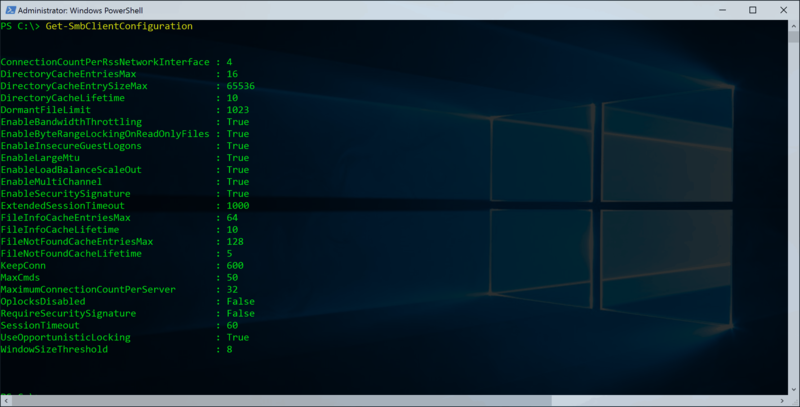 Some days ago I made a blog post about how you can replace diskpart.exe with the new cmdlets in Windows PowerShell v3. 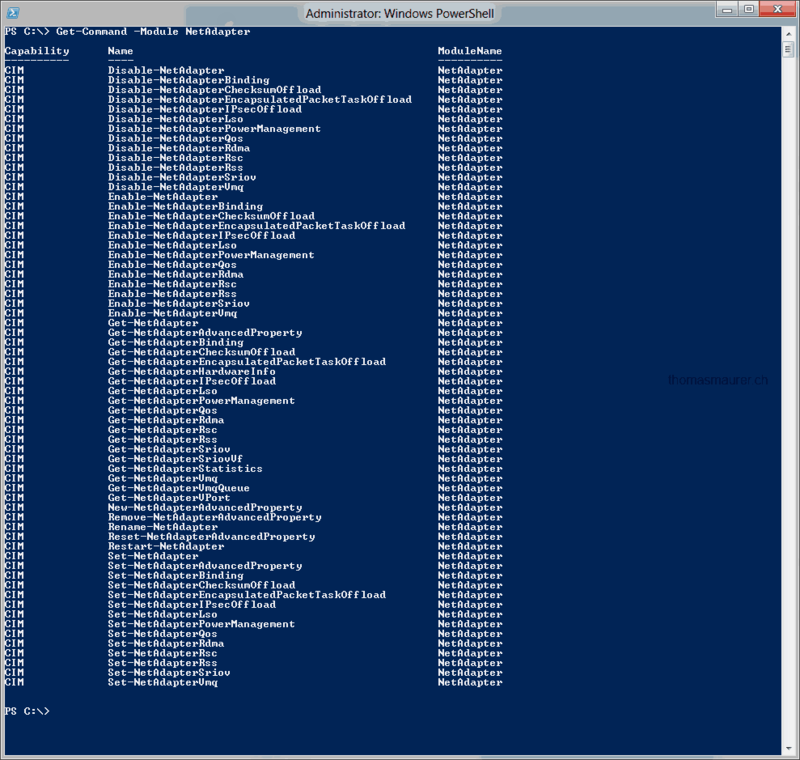 Now my next goal was to replace netsh with PowerShell. 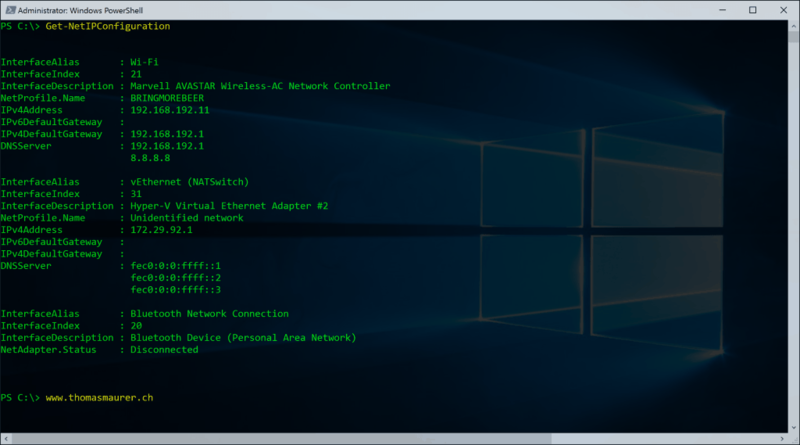 Microsoft offers a lot of new cmdlets for networking tasks lets see what we have here. 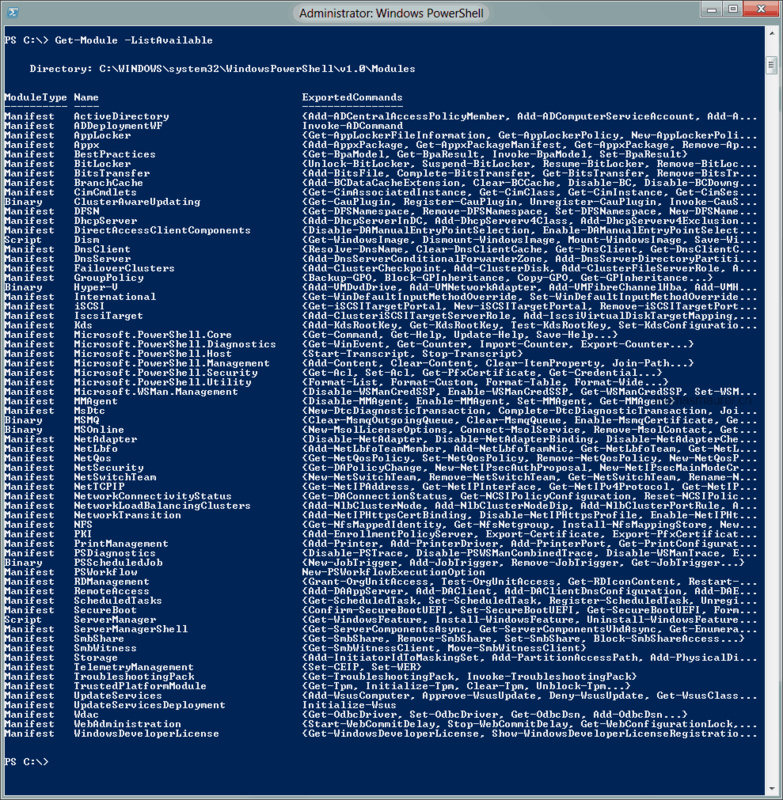 We got a lot of new PowerShell modules which are related to networking. 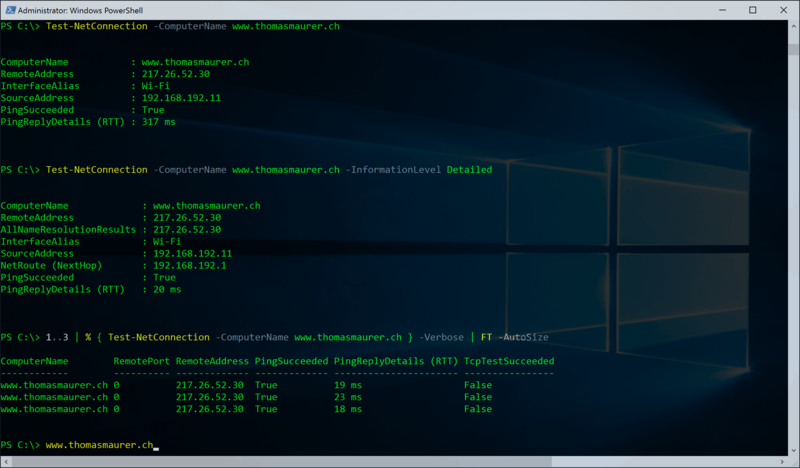 Now lets start with NetAdpater. 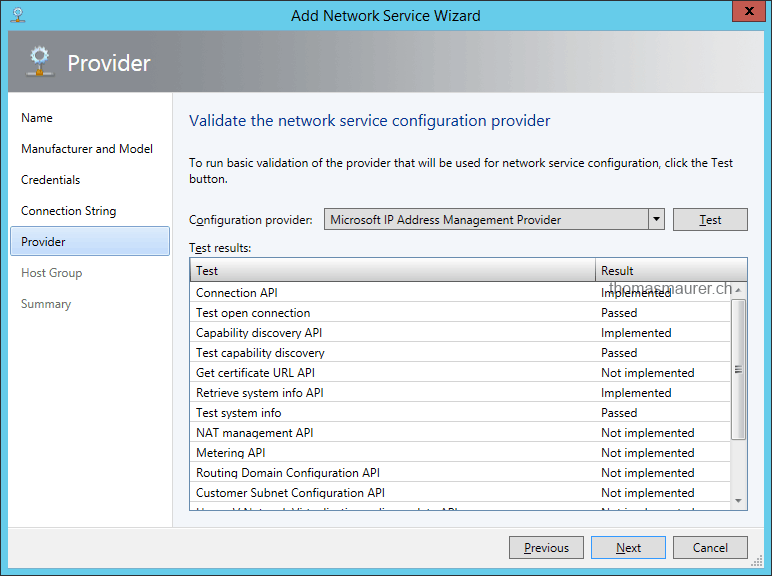 netsh interface set interface "Local Area Connection" newname="Management"
Rename-NetAdapter -Name "Local Area Connection" -NewName "Management"